As a Teacher Driver, what are my responsibilities..? A teacher who volunteers to act as driver of a school minibus is personally responsible for its roadworthiness. If any defects are found by the police or the DVSA it is the driver who will be prosecuted. The driver is also responsible for any road traffic offences committed. Is there any guidance from DfES..? In 2006 the Department for Education and Skills (DfES), following a legal opinion, issued guidance on teachers and other school staff who do not have D1 entitlement on their licences driving minibuses. If the vehicle is under 3.5Tonnes, (or 4.25Tonnes, if Accessible) and Driving a Minibus is not in your Teachers Job Description, then you are classed as an “Incidental Driver” then you can drive the minibus on the B category on your Driver License. If however, Driving a Minibus is in your Teacher’s Job Description, or the vehicle exceeds 3.5Tonnes, (or 4.25Tonnes, if Accessible) then you will be required to hold a D1 License entitlement in order to drive legally. What classifies me as an Incidental Driver..? In the DfT (department for transport) guidance it implies that provided the employee is under no obligation to drive a minibus and they have the option to refuse, then they can be considered to be a volunteer and drive a minibus without the D1 entitlement. The term used in the guidance is ‘incidental drivers’. Is the training carried out in our Playground..? Road assessment on the types of road the driver is likely to use, is where we carry out our training, for example, motorways, dual carriageways, urban/rural roads etc. Practice circuits around the school playground clearly does not constitute proper training. Many years of experience allow us to provide accredited training for minibus drivers, including essential refresher training every 4 years, or more. Teachers should only agree to drive a minibus if they have received MIDAS School Minibus training, which is nationally recognised as MIDAS School minibus training , which stands for Minibus Driver Awareness Scheme. Once the MIDAS minibus training for schools has been completed and passed, then we advice, that the MIDAS school minibus training be provided every 4 years to remain qualified. Even teachers who have received MIDAS school minibus training cannot, however, be required to drive a minibus, although drivers who have undergone MIDAS school minibus training are safer drivers and driving a minibus is significantly different from driving a car and therefore demands drivers should undertake MIDAS school minibus training. Minibuses are a valuable asset to those schools which are fortunate enough to own or have use of one. They allow pupils access to the many benefits of out-of-school activities. 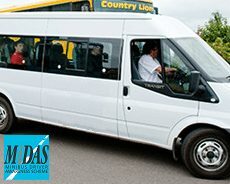 Driving a school minibus is not, however, a task to be undertaken lightly – the safety of pupils and staff should always be the first consideration by completing MIDAS school minibus training. Employers are required to provide a safe place of work. This includes ensuring that any employee who drives, has completed MIDAS school minibus training to ensure safety. Education employers must ensure, so far as is reasonably practicable, the health and safety of staff and anyone else, who may be affected by their activities, including pupils participating in off-site visits. MIDAS School Minibus training mitigates the risks to staff and pupils when school staff, drive in the course of their work. The Minibus Driver Awareness Scheme (MiDAS) is nationally recognised as THE standard to achieve and maintain. So Book now with confidence, to demonstrate the school has and will continue to do its utmost to protect the future and the safety of its staff and pupils. MiDAS 4 Schools – Standard Training. MiDAS 4 Schools – Accessible Training.